There are only a few more publishing weeks left in 2017. Here are three new releases you can pick up today. 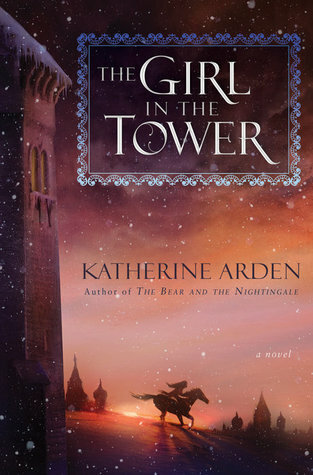 After the events of The Bear And The Nightingale (read my review), Vasilisa feels she has no choice but to dress as a boy and become a traveler; being condemned as a witch or isolated in a nunnery are her only options. It's still a difficult path for her to take, which is further complicated when she rescues children that had been stolen by bandits. The Grand Prince hails her as a hero, still thinking she's a boy, and her siblings are drawn into the deception in spite of their concerns. Revealing the truth would condemn them all, especially with the politics around the Grand Prince. As a direct sequel, this novel makes far more sense after reading the first book than if you dive into the trilogy here. There is so much world building that went on in the first book and it's glossed over here. Much of the events are summarized when mentioned in this one, so it is still possible to start here. Vasilisa has the same indomitable spirit, and she fights against the supernatural and political intrigues as best as she can. More of Russian mythology is introduced here, and now we see its impact in the wider world. We meet the older siblings that had moved away when she was young, but the reunions are bittersweet. The action is fast-paced when it happens, with cinematic scenes to increase the tension. The battles are well fought and hard-won, and Vasilisa again sacrifices in order to save others. I can't wait to see what will happen to conclude this trilogy. Ivy Thorpe in the early 1900's is drawn into the mystery of a woman found dead at the Foster House, and is determined to uncover who she is and what is her story. Nearly a hundred years later, her descendant Kaine Prescott purchases Foster House to get away from her losses and a stalker in San Diego. The house is eerie and ramshackle, with the unsolved mystery surrounding it, and odd happenings beginning to surface around Kaine. As much as she would rather stay isolated, she can't stay alone and there's nowhere else for her to go. I was drawn into both mysteries, though Ivy's was slower to unfold at first. It wasn't clear at first how Kaine's and Ivy's stories would really intertwine, and they ran separate tracks for a while. Ivy's past was hinted at for a while without being explicitly discussed; it might have been easier for someone to sit her down and openly talk about it, though it wasn't the Done Thing in 1906. As much as there was a fascination with death and keeping the memories of loved ones alive, people also didn't discuss feelings freely. That atmosphere helped secrets grow, and made it easier to hide the secrets of Foster House. Kaine's story at first seemed improbable, that her past trauma would be so cavalierly tossed aside and not even be discussed. The mystery surrounding her husband's death and stalker in San Diego is wrapped up relatively quickly, for all the foreboding that storyline was given. That let the stalking in Wisconsin take on a more ominous tone, even as there were few clues who it could be and why Kaine was targeted. Because the modern-day story is so tightly focused on Kaine, whatever she misses are clues that we don't see either. It makes the final chapters feel very sudden. Because it's a mystery that is over a century old, some pieces still remain missing by the end. It's wrapped up enough for us to be content with it and realize that all the players involved did get some kind of punishment for their wrongdoing. 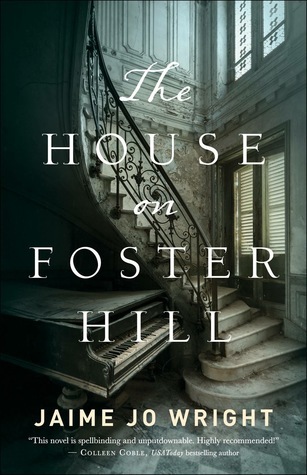 It was nice also to see the afterward at the end where the author discussed the role of human trafficking, which suddenly popped up as the reason for the mysteries at Foster House. I realize there's no good way to foreshadow that before Ivy discovered it, but it was a surprising motive that I hadn't considered before. There is also information about how to help with and learn more about current day trafficking efforts. Irene Seligman is a former district attorney that returned to Santa Fe to help take care of her demanding mother. She runs a consignment shop and has made friends with a number of local shop owners and craftspeople. It comes as a shock when one of these friends is accused of murder, so Irene has does her best to clear Juanita's name before others turn up dead as well. 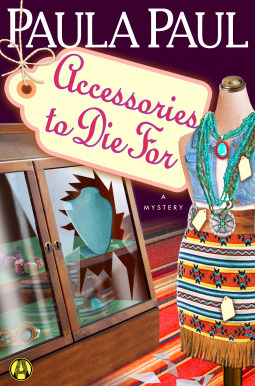 This is a cozy mystery set in the desert, and the first Irene Seligman mystery I've read. It takes place not just in the city, but in and around Native American reservations near Santa Fe. The cultures are respectfully included in the book, as it's one of the main concerns that draw a number of the characters together. It doesn't feel as though it's just for the sake of representation, but that the families involved revere their traditional culture and try to balance it with the world at large. This sets up some of the conflicts so that it's not a simple "just call the police" kind of solution. This is what allows Irene to lead the charge in solving the mystery for the police. Surprisingly, it doesn't feel too out of place. Irene is fun to read about, and her mother Adele went from annoying to downright hilarious as the book progressed. It really does Adele a bit of a disservice and makes it feel as though her antics, later on, are a bit forced and out of character. I would have liked to see some hint of Adele being that clever earlier in the novel.